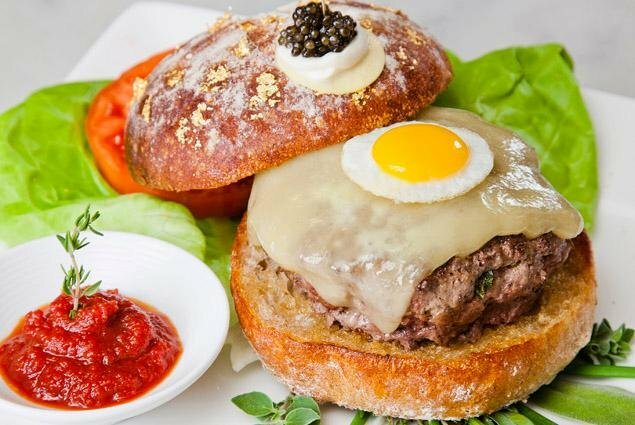 The most insanely priced burgers in the world. 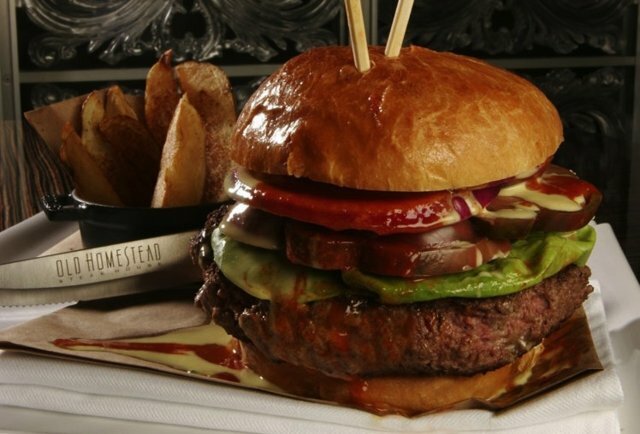 A cut of USDA Prime, Japanese Wagyu, and Argentinean free range beef from the Pompas all walked into a steakhouse... only they didn't walk out, as the centuries-old NY steakhouse's now-defunct Floridian outpost decided to mix them all together into one supreme patty. Mallie's is a little competitive, m'kay? They kinda like having the world's largest burger, but that's not enough for them -- they've gotta outdo themselves each year. 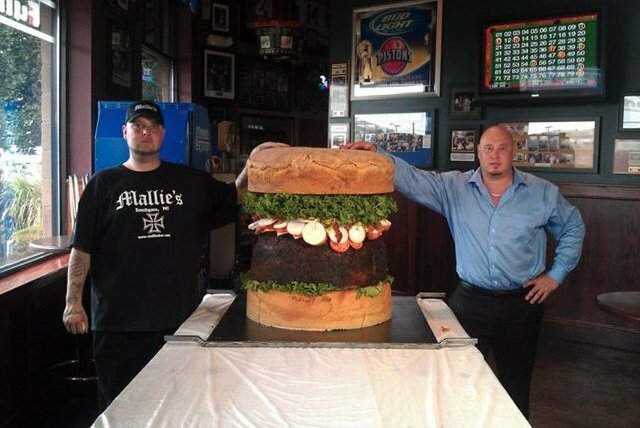 They're still working on the 2013 iteration, but the 2012 version of their Guinness record winner for largest burger weighs 338lbs, including 30lbs of bacon and 36lbs of cheese. Unlike the others on this list, it's not exotic -- just big, and it's not even sold for a profit. See a $666 Douche Burger, as well as the most expensive one Burger King's ever created, all in the full story on Thrillist.com!